A man has been found guilty of murdering a woman in a Wolverhampton hotel room. 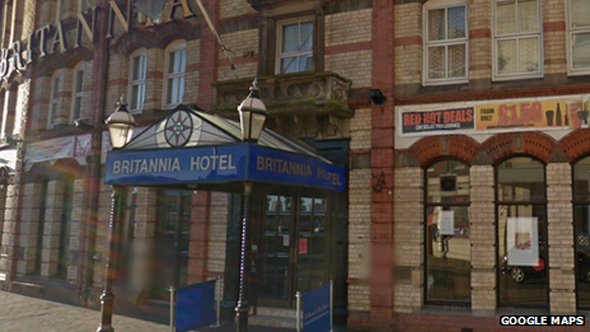 The body of Amandeep Kaur Hothi was found at the Britannia Hotel on 6 March. A post-mortem examination revealed the 29-year-old died of multiple knife wounds. The prosecution said Gurminder Singh, 29, had been in a relationship with the married mother of two. 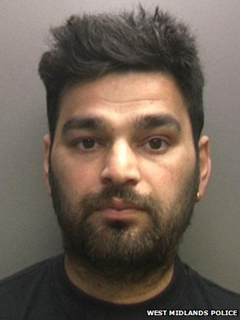 Singh was jailed for life by a judge at Wolverhampton Crown Court. He was ordered to serve a minimum sentence of 24 years. The Crown Prosecution Service (CPS) said Singh, of Forest Gate, east London, travelled up to Wolverhampton on 5 March to meet with the 29-year-old victim. Martin Lindop, from West Midlands CPS, said Singh was "unable to accept the fact that the victim wanted to break off their relationship" and attacked her with a knife. "Mrs Hothi tried to call her husband for help, but he and the police were unable to locate her," he said. "Singh then tried to commit suicide, but failing this, he called the emergency services for help, medical help which he denied Mrs Hothi." Mrs Hothi's husband Pal Singh said the family had been left "devastated and traumatised" by events at the hotel. He said the family was "rallying round" to look after their two young sons. Det Sgt Andy Bradley said it was unclear how long Singh and Mrs Hothi had been seeing each other and that she had always appeared to be happily married and "doted on her young boys".